So I took a peek back at my old blog to remember when I posted my first blog post…April 2006!! Almost 7 years ago! Yikes! My kids were this little once! One of my very first posts was about our cookie making activity from using the Mystery of History curriculum. I find this very interesting because Kelsey and I are going through Volume One again this year, although I don’t believe we made the Joseph coat cookies this time. A lot has happened since that first set of blog posts: my kids are 7 years older (and so am I! 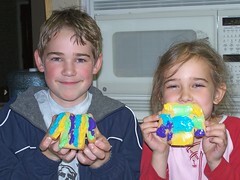 ), Matthew has graduated from our homeschool and is working full time now, and Kelsey is my only student. Over a year ago, I moved my blog to Blogger and just a couple of months ago, to WordPress.com. And over the last 2 years, not only do I blog about my family and some of our daily happenings in our little corner of the world, but our experiences with Compassion have taken a front seat on my blog. My blogging goals are posted for this year on my About page. On that page, you can also find links to some of the posts that were popular on my Blogger blog before I moved it over to WordPress.com. 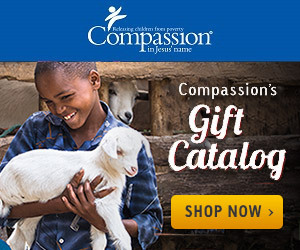 There is also a link to the Compassion website and a link to a Pinterest board with letter writing ideas for your Compassion sponsored kids. If you haven’t taken a peek at my About page yet, you might just learn a little more about me with the random facts I have listed. My friend, Kendra, over at Preschoolers and Peace has been helping me with some great tips and encouragement as I begin to be more intentional about my blogging. She has a lot of great information to share, so be sure to visit her blog today. So, if you are a blogger, how long have you been blogging?